Stream the 2016 Grammy Awards LIVE on Monday Feb 15, 8ET / 5PT with CBS All Access. (Click Here) Sign up now and try 1 week free! 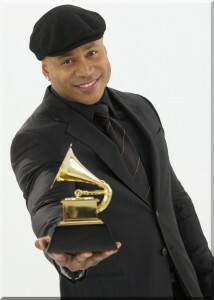 GRAMMY Awards 2016 Show Date Feb 15th Live On CBS Entertainment icon and two-time GRAMMY winner LL COOL J is set to return as host of the 58th Annual GRAMMY Awards®, marking his fifth consecutive year as master of ceremonies. Taking place at STAPLES Center in Los Angeles, Music’s Biggest Night® will be broadcast live in high-definition TV and 5.1 surround sound on the CBS Television Network, Monday, Feb. 15, 2016, from 8–11:30 p.m. (ET/PT). The 58th Annual GRAMMY Awards are produced by AEG Ehrlich Ventures for The Recording Academy®. Ken Ehrlich is executive producer, David Wild and Ehrlich are the writers. Established in 1957, The Recording Academy is an organization of musicians, songwriters, producers, engineers and recording professionals that is dedicated to improving the cultural condition and quality of life for music and its makers. Internationally known for the GRAMMY Awards — the preeminent peer-recognized award for musical excellence and the most credible brand in music — The Recording Academy is responsible for groundbreaking professional development, cultural enrichment, advocacy, education and human services programs. The Academy continues to focus on its mission of recognizing musical excellence, advocating for the well-being of music makers and ensuring music remains an indelible part of our culture. For more information about The Academy, please visit www.grammy.com. For breaking news and exclusive content, follow @TheGRAMMYs on Twitter, like “The GRAMMYs” on Facebook, and join The GRAMMYs’ social communities on Google+, Instagram, Tumblr and YouTube.